"In this peaceful Senegalese haven, I felt away from the world. There were plenty of friendly staff in the background, always ready to give a helping hand. It was bliss." The wide range of excursions available, both on and off the water. The peace and tranquillity as you relax on the terrace overlooking the Delta. We would recommend upgrading to a suite, offering more space and a location overlooking the waterfront. A knowledge of French would be beneficial. Located in Toubakouta in the Sine Saloum South region of Senegal, the highlight for many at Keur Saloum is the panoramic terrace, where guests can relax in comfortable chairs or hammocks and take full advantage of the views of the river meandering into the distance. Away from the busier tourist areas, here you are perfectly placed to discover the real Senegal and its amazing bird and marine life. Keur Saloum’s varied excursion programme also enables you to explore the local area easily: this includes making use of its many boats to take you fishing, out for a picnic on a deserted beach or to explore a local village along the river. You’ve also got Fathala Wildlife Reserve just a 20-minute drive away, where you can embark on a game drive, or why not consider it for a twin-centre holiday? 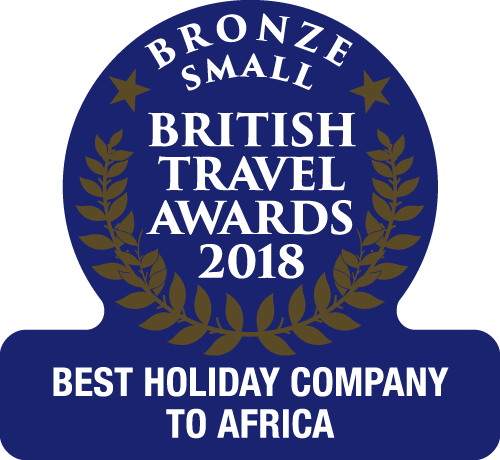 Set amongst the well-kept grounds are 48 African–style round bungalows, surrounded by numerous shady trees, aromatic shrubs and flowering plants. Each bungalow is individually decorated, offering a simple yet comfortable base for a relaxing holiday. For an extra special location overlooking the jetty and the river, we suggest upgrading to one of the spacious suites, which are beautifully decorated, with a lounge area and an extensive private terrace. In the evening, the open-plan bar and restaurant is a great place to relax and swap stories with others about your day, whilst enjoying freshly cooked food, which is inspired by French cuisine and locally caught seafood. French is the main language in Senegal, however some of the staff will be able to communicate in English. The transfer from Banjul includes a river crossing of approximately 40 minutes, border formalities and then a short road transfer. 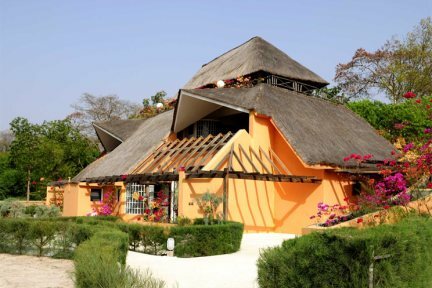 You can combine Keur Saloum with any of our Gambia or Senegal hotels; if only staying at Keur Saloum, your first night will be spent in The Gambia. As in any destination, we would not recommend walking in remote areas after dark. 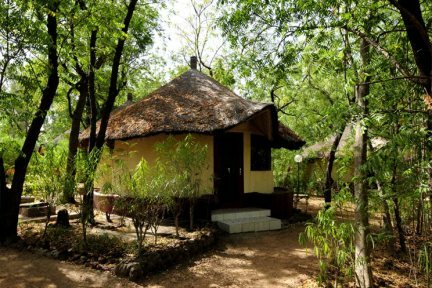 African style round bungalows with private bathroom and air-conditioning. 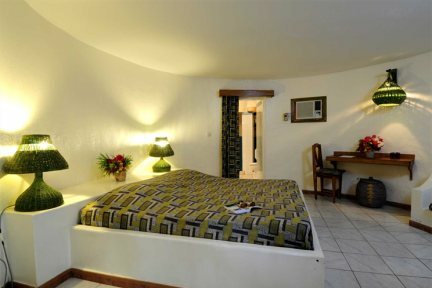 Spacious suites with lounge area, large bathroom with walk-in shower, extensive terrace or balcony, air-conditioning and river views (ground floor suites may have partial views due to the mangroves). The Sine Saloum Delta is an 180,000-hectare area that encompasses the Saloum Delta National Park, and is a truly stunning part of Senegal. Formed where two rivers converge on the mighty Atlantic Ocean, it's a region of great diversity consisting of a unique estuarine environment, glorious beaches, mangrove swamps, sand islands and ever-shifting dunes. 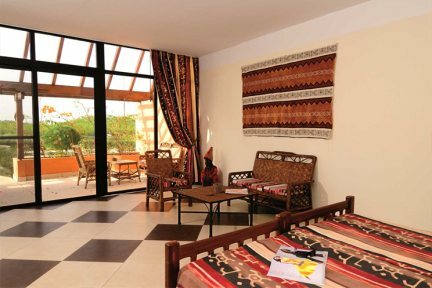 The region is a joy to explore, and whether you're picking your way in a personal horse drawn carriage through the great herds of baobabs and salt-craters dug by the local women or quietly navigating the lush greenery of the labyrinthine waterways in a pirogue you're sure to absorb the region's gentle magic. Thanks to its ecological diversity it is also rich in animal life, and for birdwatchers, the Delta will also not disappoint; home to a stunning variety of birds, such as flamingos, pelicans, herons, gulls, terns, egrets and avocets. Many of the hotels will arrange special birding trips to view them in their natural habitats. For the fisherman, it is an angler’s dream with a wealth of fish in both the rivers and the ocean; you might even spot the odd manatee or dolphin in the coastal lagoon. Many of the hotels have their own boats or pirogues and offer specialised fishing trips, as well as more leisurely sightseeing trips along the rivers to deserted beaches and local villages. In the Sine Saloum, many of the hotels have their own boats and offer specialised birding and fishing trips, as well as more leisurely trips along the river to deserted beaches. 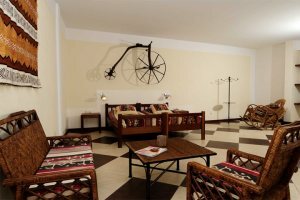 As the hotels in the Sine Saloum Delta are a little more isolated, evenings are usually spent in the hotel enjoying a good meal and drinks in the bar, with occasional musical entertainment. Fancy a fishing trip or boat ride? The hotel has its own landing stage on the Bandiala which leads to the Ocean. Our 14 canoes and skiffs, all equipped with 40 hp engines, are waiting to take you on a fishing trip or for a boat ride on the interlaced sounds and islets and help you experience a very special moment. There is an extra charge for this activity. The waters in the Saloum Delta are an angler's paradise containing some of the highest numbers of fish in the world. Fishermen can encounter numerous species including grouper, barracuda, Nile perch, croaker, red and white carp, sea bream, skate, bass and more. The quantities and the size of the fish can be quite surprising. In 2001, a red carp weighing 60 kg (world record) was caught, followed in 2002 by a stingray weighing in at 111 kg. The main types of fishing available are hand lining, trolling or surf casting . We also own a larger fast boat, equipped with a 75 hp motor, to go fishing in the Ocean.